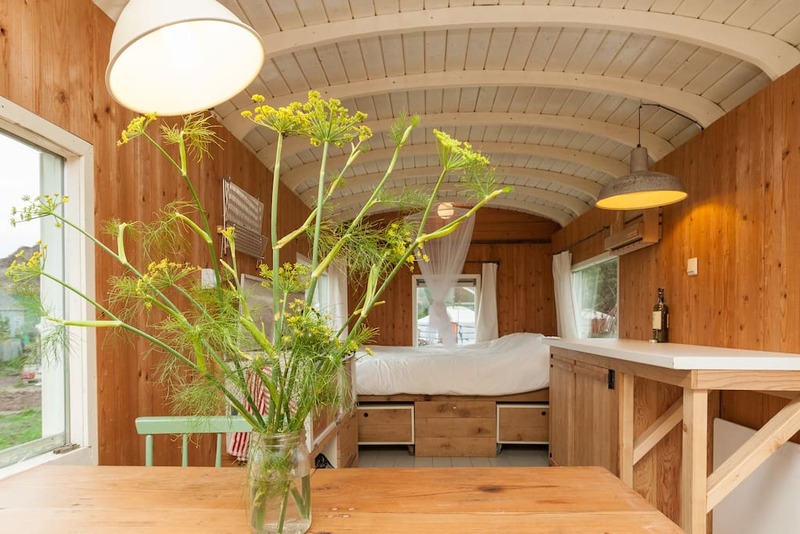 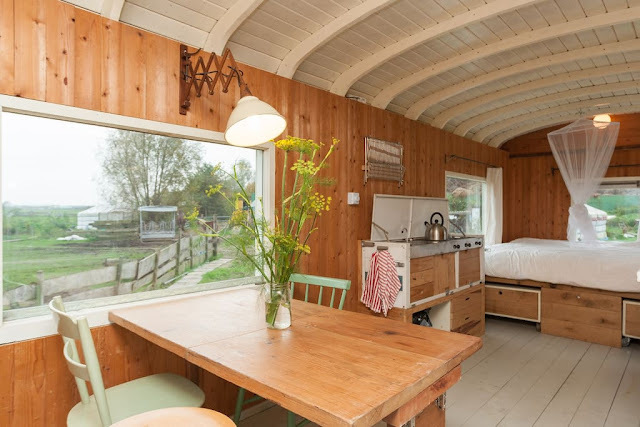 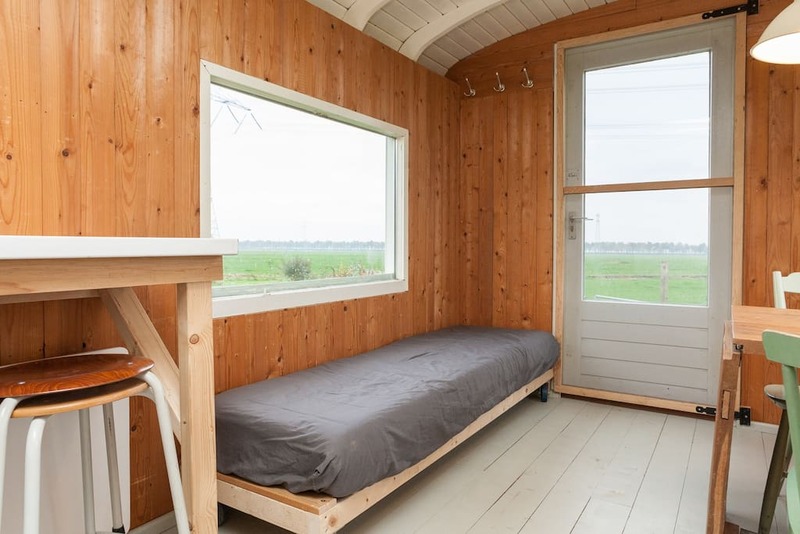 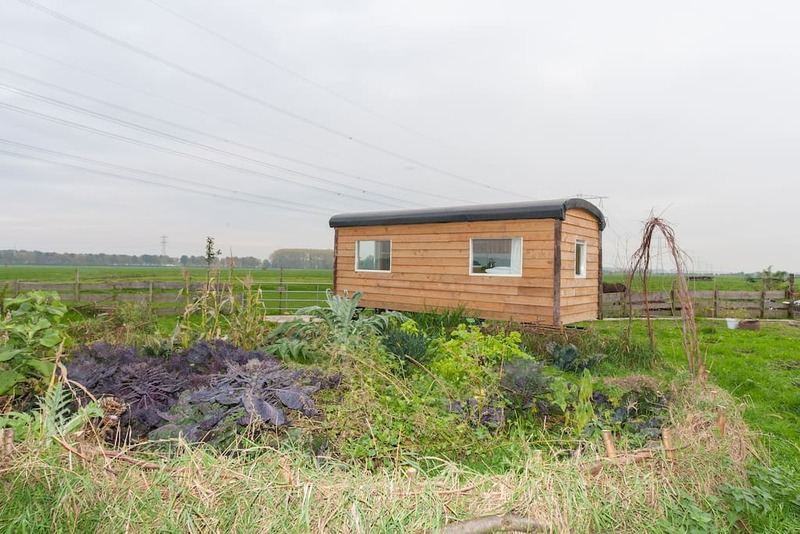 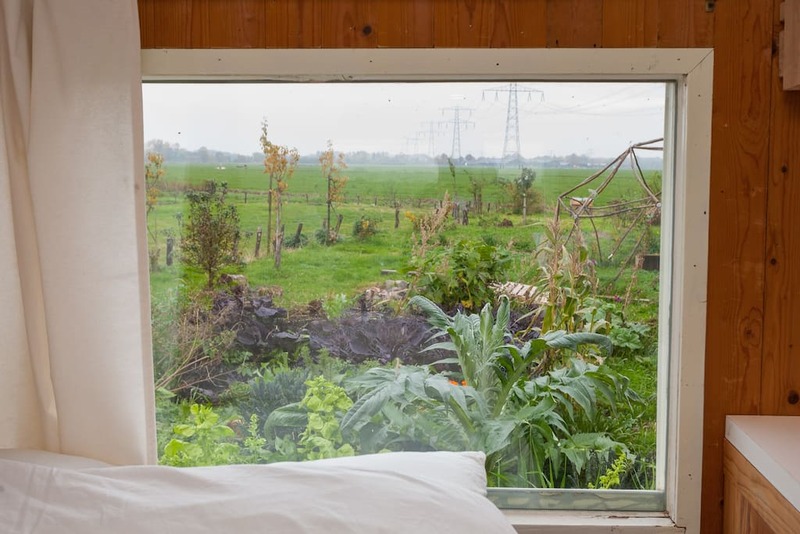 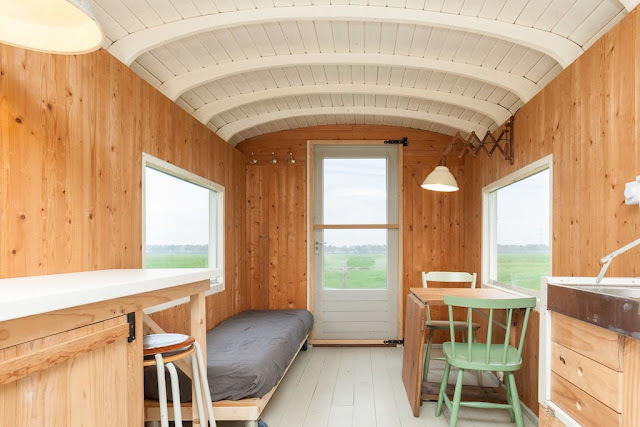 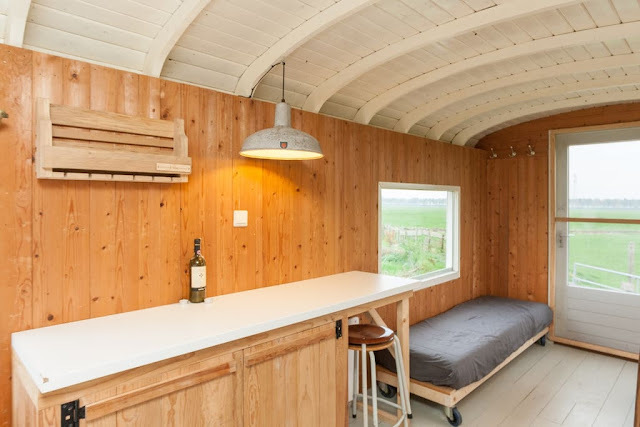 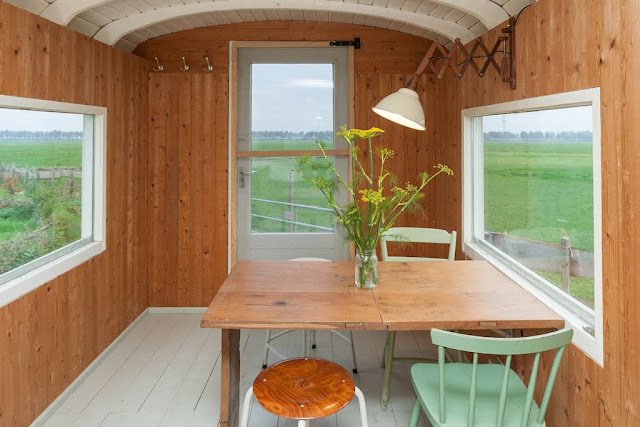 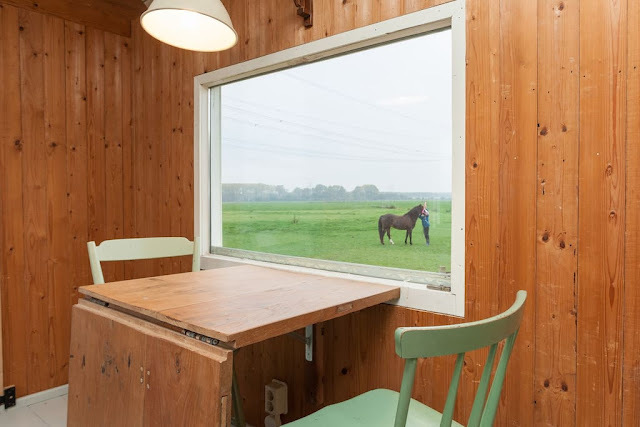 On a small yurt community with a running organic farm is this cozy Dutch tiny house. Located just south of Amsterdam in the town of Abcoude, it's currently available for rent on Airbnb for just $57 a night! 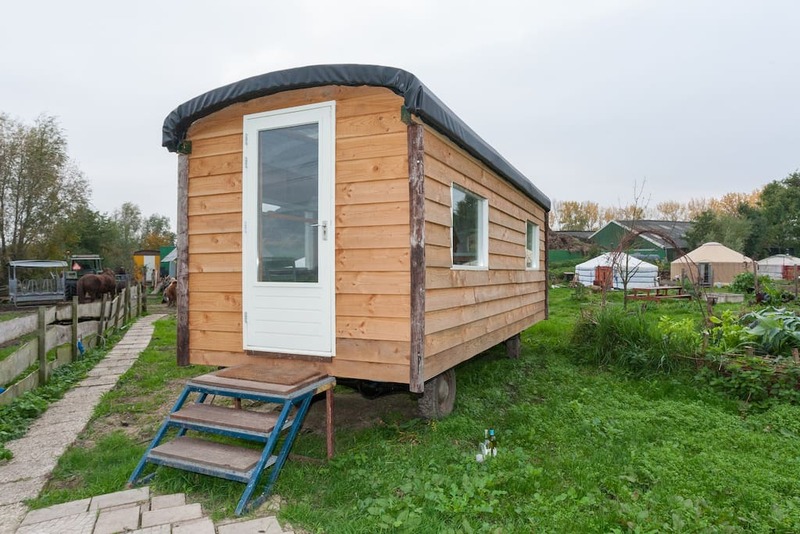 The home was built using natural and recycled materials and comes well-insulated to keep you comfortable in all seasons. 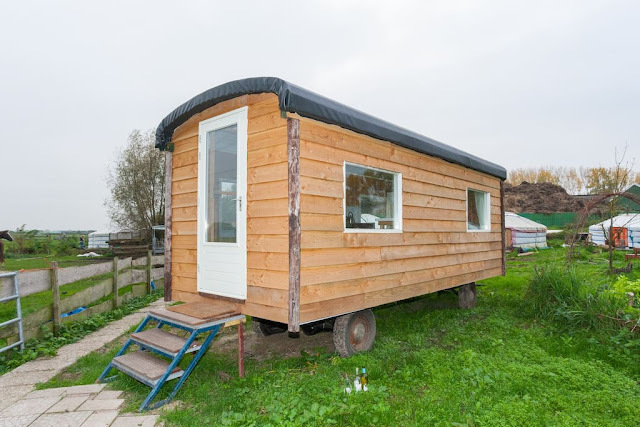 With its single-floor and open layout, it's easy to move around in and won't feel cramped! 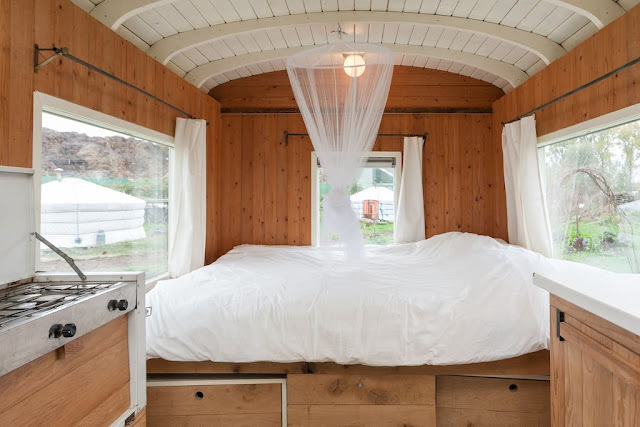 There's enough room to sleep up to three people between two beds. 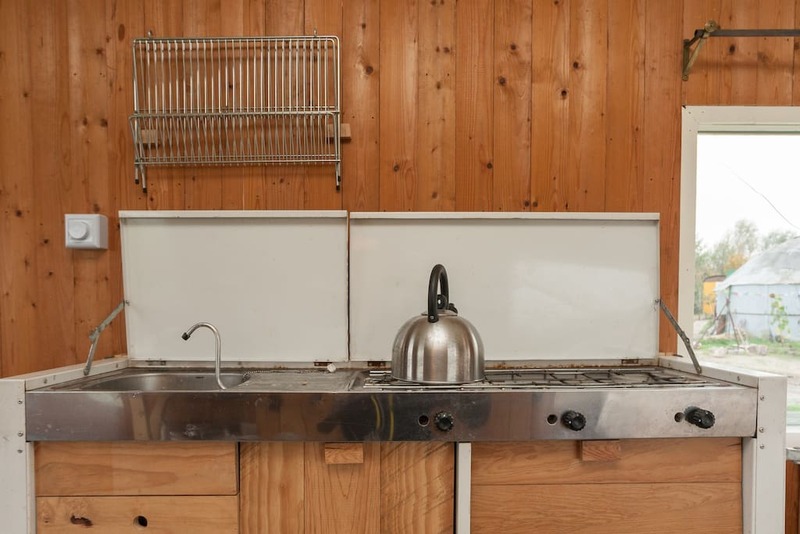 Also available is a foldable table and a kitchenette. 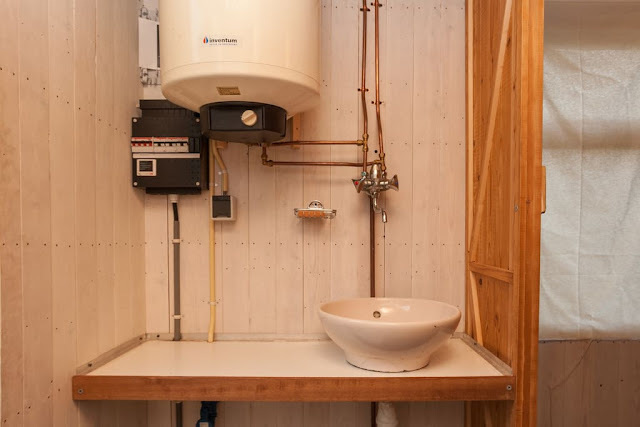 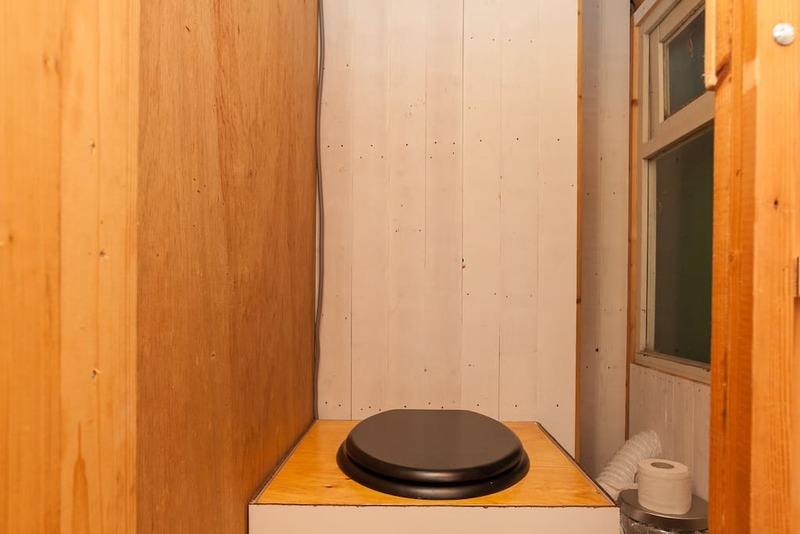 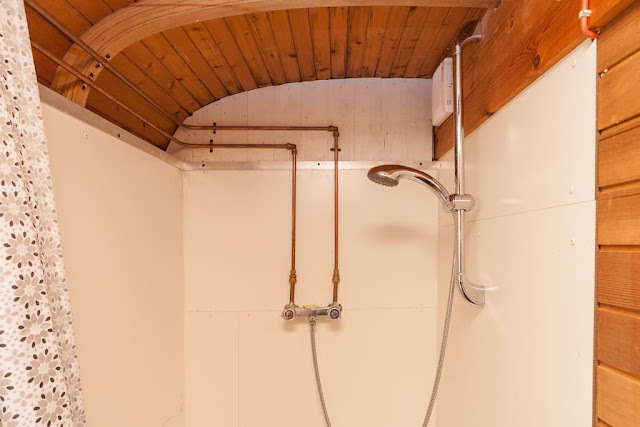 A private washroom is also provided in a separate structure. 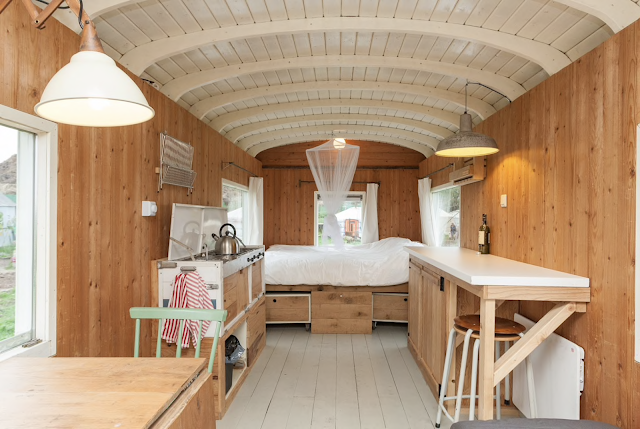 For more information or to book, check out its listing on Airbnb here!